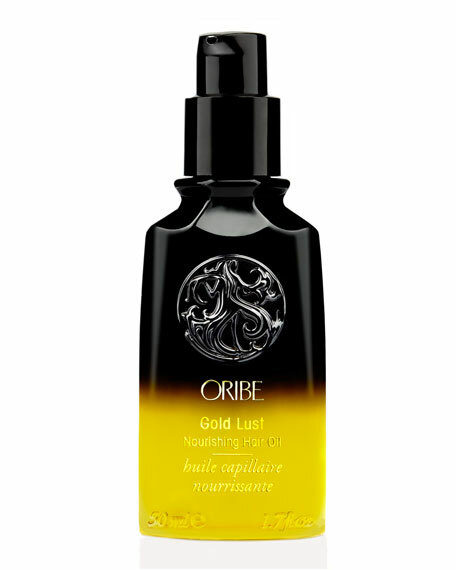 Oribe Gold Lust Nourishing Hair Oil, Travel Size, 1.7 oz. 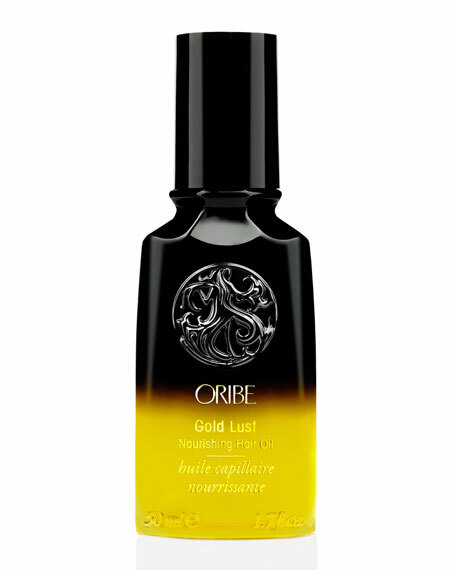 This luxuriously light Oribe oil absorbs instantly to restore hair to its prime. Infused with a rich blend of Jasmine, Edelweiss Flower, Lychee, Sandalwood, Cassis, Bergamot and Argan extracts, each protective drop penetrates the hair to deeply condition, strengthen and smooth - imparting intense nourishment and incredible shine. Works wonders on dry, damaged and color-treated hair ... Liquid gold. Apply through damp hair. Add to ends after styling for extra luster, conditioning and frizz control. Who Should Use: Anyone, especially those with dry, damaged or color-treated hair.